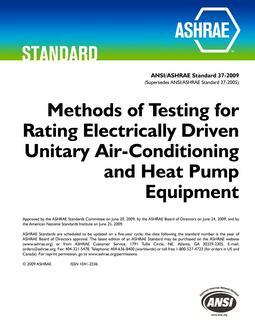 The purpose of the standard is to establish a uniform set of requirements for rating computer and data processing room (CDPR) unitary air conditioners. 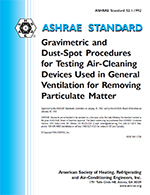 This 2007 revision of the standard makes some significant changes to the 2001 edition: (1) some definitions have been rewritten for clarification and other definitions have been added, (2) the rating requirements have been changedâsome to align the test conditions with the recommendations published in ASHRAEâs Thermal Guidelines for Data Processing Environments. 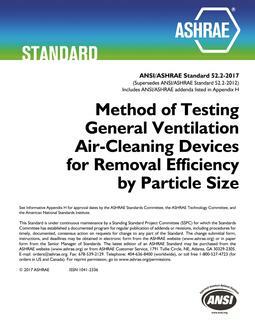 (3) standards for the testing and rating of the humidification and dehumidification systems have been added or clarified, (4) a minimum MERV rating for the air filters has been established, (5) a standard method for the test and rating of the noise emitted by the units has been established, and (6) the tolerance of the unit rating verses the test results has been tightened.